Los Angeles, March 27, 2018: The Indian Film Festival of Los Angeles (IFFLA) has announced two exciting additional programs and has revealed the distinguished members of its features and shorts juries for the 16th annual festival, which takes place April 11 – 15 at the Regal L.A. LIVE: A Barco Innovation Center cinemas in downtown Los Angeles. 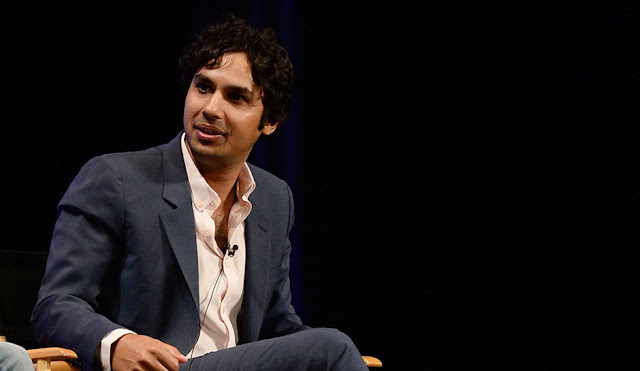 The Big Bang Theory star Kunal Nayyar will sit down for a moderated discussion about his career beginnings, his path to stardom on U.S. television’s highest rated comedy, and to advise the next generation of artists on how to gain a foothold in a competitive industry. Best known for his role as Rajesh Koothrappali on The Big Bang Theory, Nayyar’s career has spanned television, features and the stage. He’s performed voice work in the DreamWorks animated feature "Trolls", and Fox’s "Ice Age: Continental Drift", as well as the Nickelodeon series Sanjay and Craig. His television credits also include a recurring role on TBS’ Sullivan & Sons, and a 2015 stint as guest host on CBS’ The Late Late Show. In 2015, he made his off-Broadway and London West End debut starring alongside Jesse Eisenberg in The Spoils, and he produced the documentary feature "Beyond All Boundaries", which won an IFFLA Grand Jury Prize in 2013. The master class is presented with support from the India Center Foundation and will take place on Thursday, April 12 at 9:00pm. IFFLA has also added to its 2018 lineup the world premiere of rising star director Karthik Subbaraj’s new feature "Mercury". The film features South Indian superstar Prabhu Deva, and focuses on five long-time friends, all of whom are maimed as a result of their town’s mercury poisoning, who come together for their high school reunion. But a moment of mischief and misfortune during the after-party puts them on a one-way road to hell. "Mercury" will screen on Thursday, April 12 at 9:15pm with director Karthik Subbaraj in attendance. An impressive panel of jurors will preside over IFFLA’s features and shorts competitions. The features jury includes: director Haifaa Al-Mansour, whose multiple award-winning debut feature "Wadjda" was the first film shot entirely in Saudi Arabia; film critic Carlos Aguilar, whose work appears in Indiewire, MovieMaker Magazine, Filmmaker Magazine, Variety Latino and Remezcla; and actress Sujata Day, known for her starring role on Issa Rae’s The Misadventures of Awkward Black Girl, and her recurring role as Sarah on HBO’s Insecure. Internationally renowned religious scholar and writer Reza Aslan, whose books include the #1 New York Times best-seller Zealot: The Life and Times of Jesus of Nazareth, and who has served as producer on HBO’s The Leftovers, ABC’s Of Kings and Prophets, and hosted CNN’s original series Believer; director Aneesh Chaganty, whose debut feature "Searching" was acquired by Sony Pictures for worldwide release in 2018 after its world premiere in Sundance, where it was awarded the Alfred P. Sloan Feature Film prize and the NEXT Audience Award; and Guinevere Turner, screenwriter of "American Psycho", "The Notorious Bettie Page", and Mary Harron’s forthcoming "Charlie Says". Turner also wrote, produced and starred in the 1994 landmark queer film "Go Fish". IFFLA previously announced its full lineup which includes opening night gala film "In The Shadows", with Bollywood star Manoj Bajpayee in attendance, closing night gala and international festival favorite "Village Rockstars", directed by Rima Das, Hansal Mehta’s "Omerta" with Mehta in person, Naseeruddin Shah-starrer "The Hungry", and a memorial tribute screening of the late icon Sridevi’s 1989 hit "Chandni". Tickets and Passes are now on sale. For more information please visit www.indianfilmfestival.org or follow us on Facebook, Instagram and Twitter (@iffla).